Student assistant in nursing Zoe Chessell, registered nurses Denise Arevalo, Malou Page, clinical nurse specialist, assistant in nursing Kylie Harland and clinical nurse specialist, Christopher Magro are excited about the opening of the new unit. 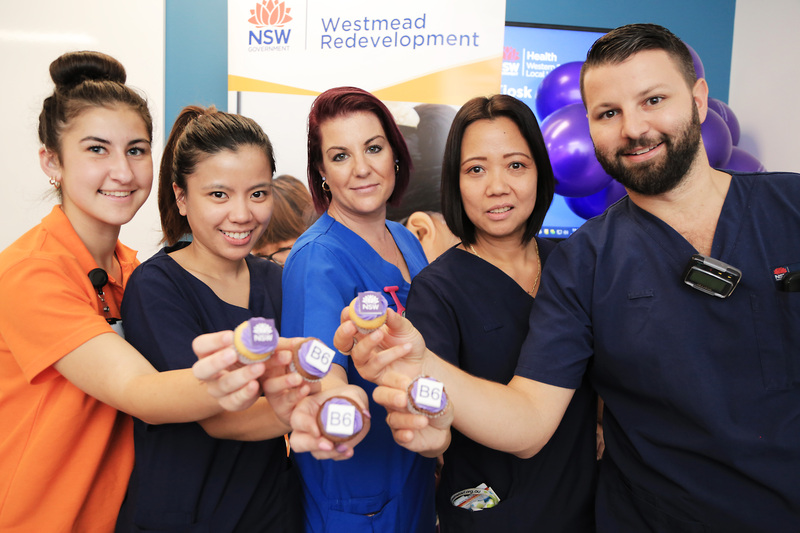 Westmead Hospital is now home to a newly refurbished inpatient unit for patients recovering from surgery, courtesy of the Westmead Redevelopment project. The 64-bed unit was revamped through the project’s refurbishment program, which is renovating more than 30 per cent of Westmead Hospital’s clinical spaces between 2017 and 2022. The refurbished unit, located on level 6 of Westmead Hospital, will provide care for patients recovering from a range of surgical procedures including orthopaedics, vascular, ear, nose and throat (ENT), plastics, head and neck, colorectal and upper gastrointestinal procedures. The area includes patient bedrooms and en-suites, medication rooms and clinical storage space. The unit also includes collaborative workspaces, and meeting rooms, which will be used in multidisciplinary education, training and research, as well as hand-over and department meetings. Westmead Hospital is one of the busiest hospitals in the country and the new inpatient unit will host an average of 150 patients every week. Westmead Hospital clinical director Dr Gary Morgan said the Westmead Redevelopment was an opportunity to re-design and transform an old ward into a modern, fresh and more usable unit. Patient Miguel Munos from Fairfield was very impressed with the new ward. “The new ward is amazing, along with the whole hospital and the people. I cannot say thank you enough. They saved my life two times – the first for leukaemia and the second with [my latest] surgery,” Mr Munos said. This refurbishment completes stage 1 of the Westmead Hospital refurbishment program. Happy Dietitians Day from WSLHD!